**For fans of 24, Scandal, and NCIS! 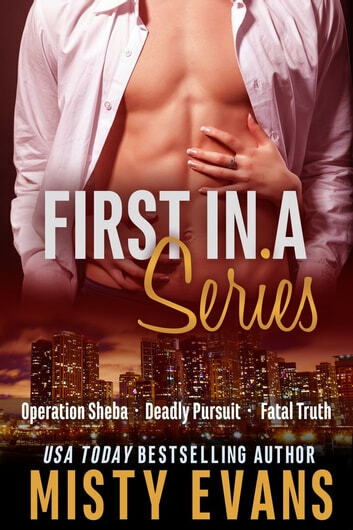 The first books in Misty Evans bestselling romantic suspense series! Going under the deepest cover possible, former SEAL and current CIA operative, Conrad Flynn, faked his own death to save his lover and partner, Julia Torrison. She believes he’s dead, but now he must tear her new life apart and ask for her help in hunting down a traitor inside the CIA’s walls. Helping Savanna is the last thing Trace wants to do, but she's his one chance to set the record straight, and he’s her only chance at survival. When their mutual enemy closes in, will secrets, lies, and forbidden passions cost them everything?